The Frankenstein author wrote this heartbreaking poetic tribute to her husband, Percy Bysshe Shelley, which was published eight years after his death in 1822. Women were prohibited from attend funerals in pre-Victorian England due to health concerns, so she never had a chance to bid him a final farewell. 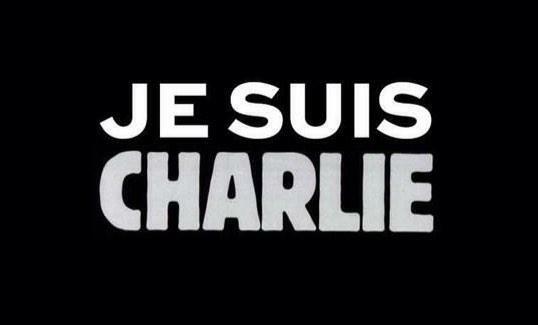 It was probably for the best since the drowned writer was cremated on the beach to comply with quarantine laws. 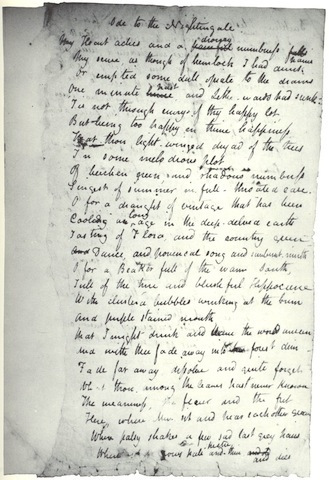 Emily Dickinson wrote many of her poems on torn scraps of paper, envelopes, and other fragments. 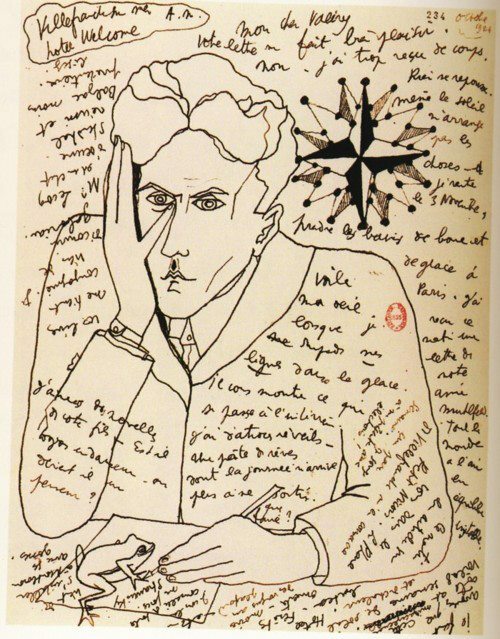 Artist Jen Bervin and Dickinson scholar Marta L. Werner have compiled a beautiful collection of the writer’s “envelope poems” in The Gorgeous Nothings, releasing this October. You can pre-order the book about Dickinson’s “crucially important, experimental late work,” or spring for the limited-edition. It’s unclear why the Great Gatsby author was penning an 8-year-old poems mentioning lust and necking, but F. Scott Fizgerald did just that.Addenda (Seven Years Later) was written for actress Helen Hayes’ daughter Mary MacArthur. 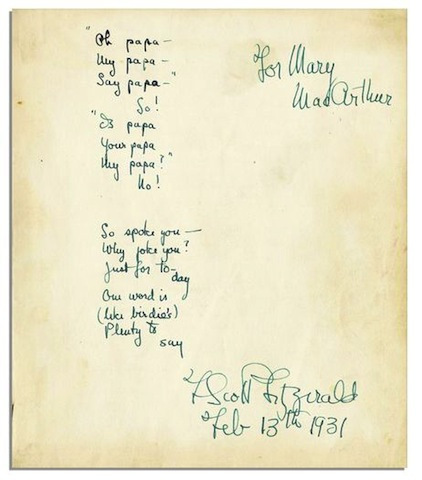 Fitzgerald spent time at the family’s New York home and wrote the verse on the reverse side of another poem he composed for Mary when she was an infant (during the time he wroteTender is the Night). He died several years after Addenda was written, beset with illness from a life of alcoholism. Mary died at 19 from polio. 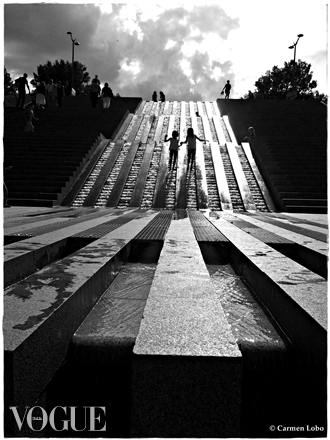 View both poems in full over here. 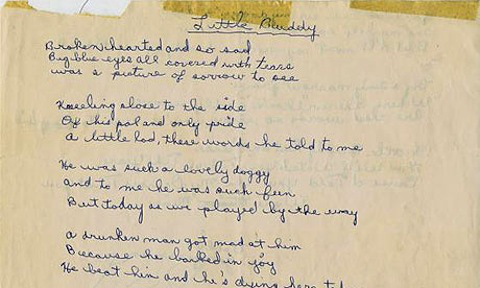 A teenage Bob Dylan, born Bobby Zimmerman, proved to be a lyrical artist at an early age in this poetic revision of the Hank Snow song, “Little Buddy.” The future singer-songwriter saw his poem published in theHerzl Herald — the official newspaper of the Wisconsin camp where Dylan spent summers (but didn’t learn the difference between “your” and “you’re”). 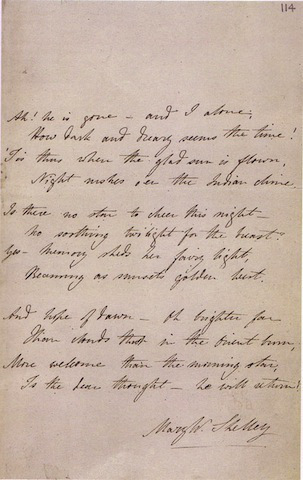 See more handwritten pages by Keats, here. The screen icon’s poems and text fragments scribbled in notebooks and on hotel letterhead reveal quiet moments of soul-searching and clues about the woman, Marilyn Monroe, and not the bubbly blond. 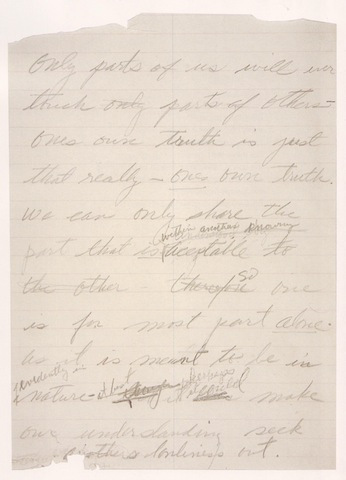 Brain Pickings has more of Monroe’s previously unpublished poems, which have been collected in Fragments: Poems, Intimate Notes, Letters. 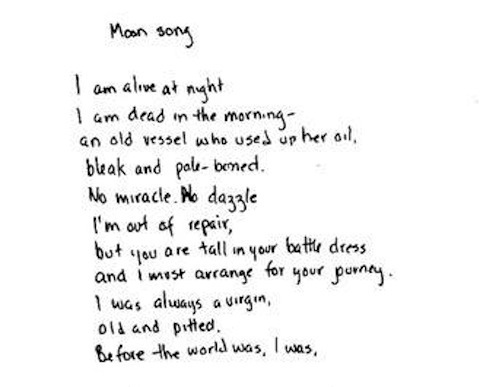 The handwritten manuscript for Anne Sexton’s “Moon Song, Woman Song” set the scene for her archetypal lovers. 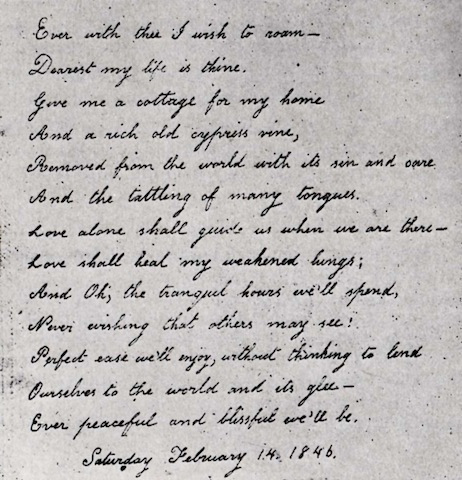 Although Poe’s teenage wife (his first cousin) was not a poet, she wrote this Valentine’s Day prose to him in 1846 – the year before she died of tuberculosis. 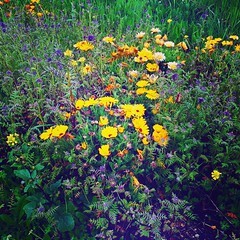 At the time, she lived with the troubled author in a small cottage in Fordham (Bronx), New York. The “tattling of many tongues” is believed to be a reference to Poe’s scandalous relationship with writer Frances Sargent Osgood, who was married — though people had plenty to talk about when it came to the boozy, tormented Poe. The Brontë sisters often wrote their works in a minuscule handwriting on whatever scraps of paper they could find. A magnifying glass is often required to read the texts. 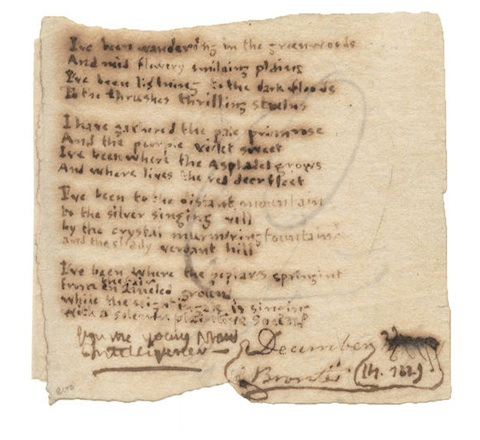 This early poem from a 13-year-old Charlotte (dated 1829) was scrawled on a three-inch square paper. Scholars believethe miniature handwriting was a way for the sisters to hide their work from prying eyes and due to the expense of paper at that time. Others suggest it’s the scale that the sisters’ beloved toy soldiers would have written in, since the playthings were an integral part of their childhood fantasy world that inspired their earliest works. Last month, scholars discovered a set of previously unknown and unpublished writings by Alice’s Adventures in Wonderland author Lewis Carroll (Charles Dodgson). 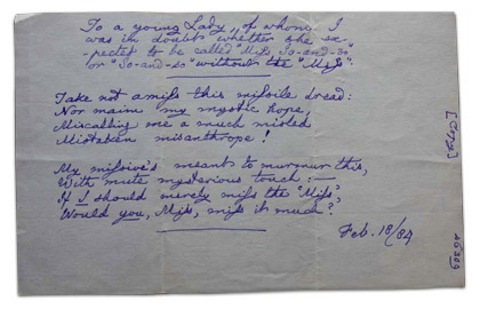 A poem written to a friend, believed to be Bessie Hussey, wittily debates whether or not Carroll should address her as “Miss.” The wordplay is clever and written in Carroll’s violet ink.